Atari800 is an emulator for the 800, 800XL, 130XE and 5200 models of the Atari personal computer. It can be used on console, FrameBuffer or X11. See http://atari800.sourceforge.net/ for further informations. PSPATARI is a port on PSP of the version 2.0.2 (April 08 2006) of Atari800 from Petr Stehlik. 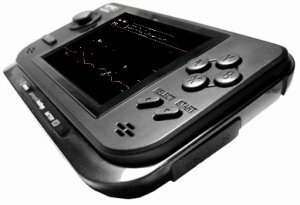 GP2X-Atari is a port on GP2X of the PSP version 1.0.7. This is the first version but should be the last version (only if major bugs are found). My forum on dcemu network or http://www.gp32x.com/. Excellent emulator (just like the PSP release that I use as well). It works great on the F200, and TV out does display. One request for the next release however if it is possible. The TV-out displays too large and many of the games are cut off on the left and right of the screen (Bounty Bob Strikes Back for example). I know this is not the fault of the emulator but rather the fault of GPH's firmware and cheezy TV-out options. But, perhaps it can be overcome with another render option that tightens up the screen on the left and right somehow? Again, fantastic emulator. Anybody with a GP2X must have this on their card Thank you!